Polysaccharide (gum)-producing bacteria are responsible for severe economic losses in the sugarcane processing industry. Increased polysaccharide levels in raw sugar are normally an indication that biodeterioration occurred in the cane, soon after harvesting. Once in the sugar processing plant, the cell numbers of gum-producing bacteria escalate and may reach levels difficult to control. We have isolated 430 gum-producing bacteria from sugarcane and different sampling points in a South African sugarcane processing factory. As expected, high cell numbers of gum-producing bacteria were isolated from the factory during a time when sugar with a high dextran content was produced. What we did not expect was to find the same species in the factory at a time when sugar with a low dextran content was produced. Phylogenetic analyses of the 16S rRNA gene sequences differentiated the gum-producing bacteria into four genera and nine species. The majority of these isolates belonged to the genus Weissella (47%), followed by members of Bacillus (24%), Leuconostoc (19%) and Lactobacillus (10%). 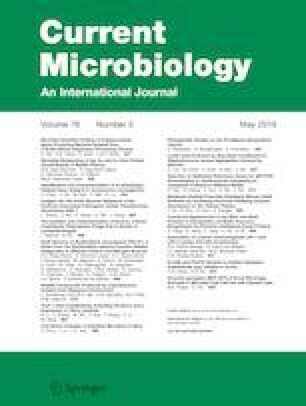 For the first time, we report on the isolation of Weissella confusa, Weissella cibaria and Bacillus amyloliquefaciens from a sugarcane processing factory. The online version of this article ( https://doi.org/10.1007/s00284-018-01625-0) contains supplementary material, which is available to authorized users. The authors acknowledge and thank Dr Deborah Sweby (South African Sugarcane Research Institute, Mt Edgecombe, South Africa) for the DNA sequencing analysis.